Professional installation results. Large renovation jobs or smaller tasks. They do your ceiling and wall repairs. Experienced and neat work team. No-pressure estimates. They can work around your schedule. Good results are guaranteed. Looking to get new interior walls or ceilings put up? 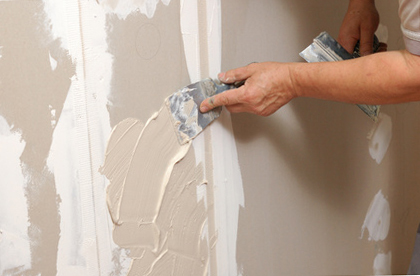 Maybe you have a wall or ceiling that needs a hole patched or needs to be refinished. Talk with professional drywall installers. They do new building jobs in addition to any type of repair work on existing properties. Many of their calls are for repairs. Some jobs, like swapping moisture damaged sheetrock, are quite extensive; other projects may involve solely patching one damaged area or two. If you are a homeowner or business property owner in our area, they are interested in working on your project. 2. Install (or hang) the sheets onto the ceiling and walls. 3. Clear up and take away trash and extra product. 4. Tape the joint seams between sheets and apply joint compound to each taped area or screw head. The painting job can start after step five is completed. Most of the time, they will do each of the steps, but some property owners don’t want to have each process done. For example, it’s possible that a homeowner is not ready for painting the ceiling or walls right away, so they have them avoid the last finishing and texturing steps. Or some property owners already have the sheetrock up, they just need somebody to tape, mud and finish it. So they call. If you need specialty boards for high moisture locations, or for wall surfaces which will have heavy tile attached to them later, they will deliver and install those kinds of sheets too. Plumbing and mishaps are responsible for lots of their repair projects. Appliances that use water and plumbing components can sometimes slowly leak and harm floors, walls and ceilings. And a few people mistakenly put a hole in their wall. A homeowner can try to correct one or two simple holes if those holes are not in any real prominent spot. Little holes or dents are covered with patches and joint compound. A homeowner’s first try at putting on a patch generally isn’t flawless, but it’s usually okay. If you learn you don’t have a talent for it, you can always call someone to help. While they support homeowners to try little wall repairs, some experts believe larger or obvious repairs ought to be taken care of by a commercial repair person. One of the harder elements of this project is getting the new material to match the texture of the old material after it is done and painted. Repairing a few bad panels so an area or room can get painted. Getting rid of and replacing pieces of sheetrock spoiled by water. Completing the elimination and replacement of a big area or room. Typically due to a water malfunction or other event. No matter what variety of repair you are looking at, they are serious about helping you out. Totally unfinished – merely taped, designed for unfinished work or storage areas or garage areas. Smooth surface finish – no texture, all set for paint or wallpaper. Basic texture – provides some extra dimension. Texture matching – your new wall surfaces match up with your old ones. Does your ceiling have that sprayed-on popcorn ceiling texture? Your specialist knows the way to scrape it off and put on a more modern looking surface. It will be easier to paint and repair and it won’t flake off. This is a full-service drywall contractor. They attempt to keep costs affordable while delivering results their clients can appreciate. Your work crew is equipped with the best tools to finish your job quick and have it come out great too. The products they install are from the leading manufacturers. It’s stressful for a homeowner to have a person or two working in their home. They attempt to hold the mess and dust down and to be as tidy and courteous as they can. They will leave no mess behind when they’re done. They tidy up and take away all the junk and scrap. They have experience accomplishing all kinds of work assignments. They work at individual houses, apartment buildings and industrial buildings, and doing repairs and restorations. It does not matter who you are – a homeowner, landlord, business property manager – they can likely work on your project. Every project is different. But they can try to calculate a quote for you. Your cost will depend on the range of jobs you would like them to complete and how substantial the whole project is. While they wish they could drop by every potential job site and provide an in-person cost estimate, that isn’t normally possible. But if you could call, they should be able to come up with a reliable job quote. If you would like them to get started on the painting once the installation or repairs are done, they will get that started too. But if you want to hire a third party to paint it, or if you want to do it yourself, that’s okay too. They can work at most properties in Sunnyvale West, Cumberland South and the 94086 and 94087 zips. 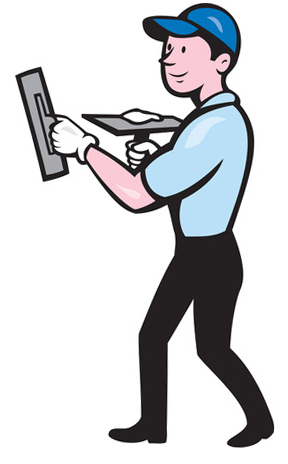 Installers regularly work in Cumberland South, Sunnyvale West, and the zip codes of 94086 and 94087.